Hefty Contractor Bags are 2.0 mil. 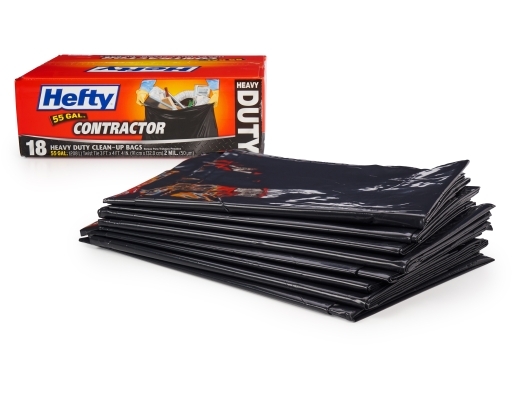 thick - strong and durable enough to hold up to your toughest clean-up projects. 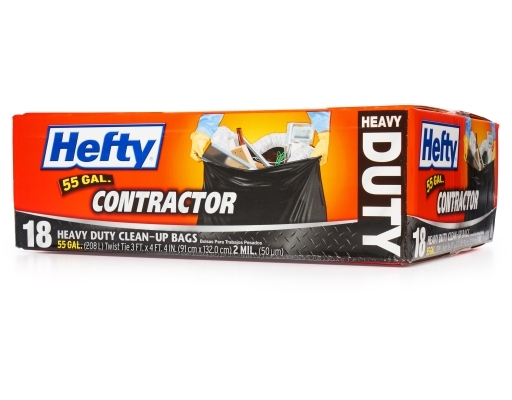 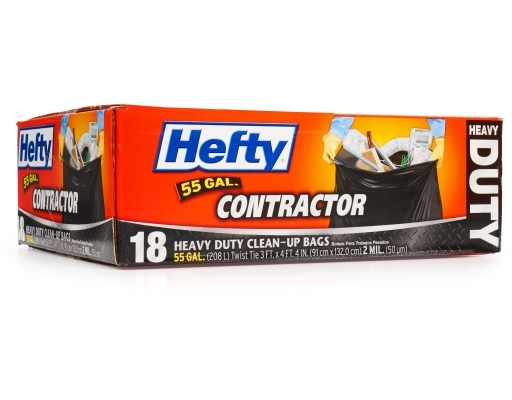 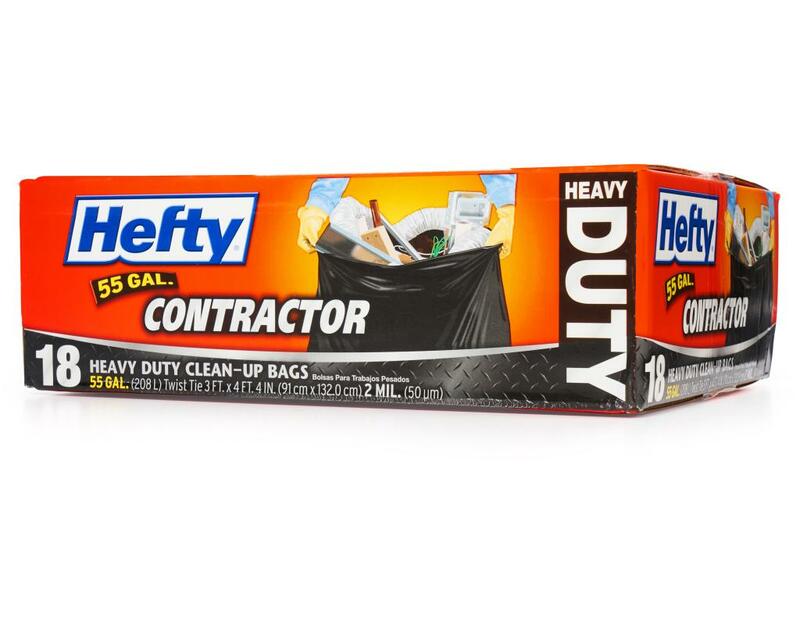 Heavy Duty Hefty Contractor bags are 55 gallon trash bags, so you can be sure it's the right bag for the right job. 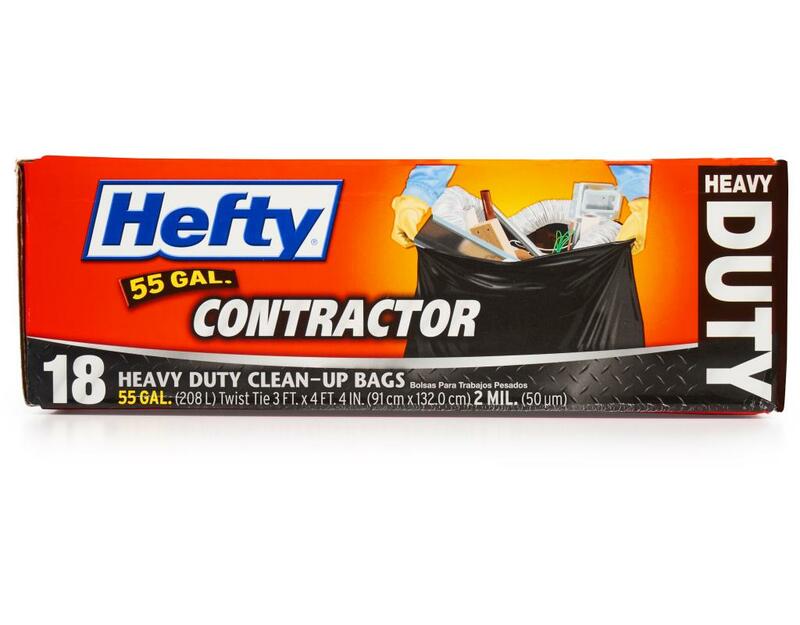 Whether you're cleaning out your garage or basement or tackling a home improvement project or working on the job at a construction site, you can trust Hefty's contractor bags to get the job done!